The main legislation is in Acts of Parliament, such as the Companies Act 1985, but many smaller details are to be found in statutory instruments (delegated legislation made under the authority of the parent Act). Internet access has improved recently, and growing. The full text of all Acts of Parliament since 1988 is available on the Office of Public sector Information (formerly HMSO) website. Although this does not yet include the 1985 Act, it does have the 1989 Act. The full text of all statutory instruments since 1987 is also available on the OPSI website. The main statutory framework for UK company law, it was a consolidation of previous legislation when passed in 1985. It was amended by the Companies Act 1989. When these amendments were made some existing sections of the 1985 Act were replaced with new wording and new sections were added (e.g. CA 1985, sec3A is a section of the 1985 Act, but was actually passed in 1989). This can cause confusion when consulting printed versions of the Act. It is important to refer to an amended edition. The Company Law Club database does not contain the full text of the Act and (so far as we are aware) it is not available from any other free on-line source. The database does, of course, refer to many sections of the Act and the database can be searched for these sections by number (using the special search facility) or by subject matter. Much of this Act was brought into effect by a series of Commencement Orders over the following years. These orders are not listed here. A major section of the Act, Part IV, sections 92 - 107, relating to the registration of charges on companies' property, has not been brought into effect and probably never will. The main statutory provisions on bankruptcy, company liquidation, receivership, administration, etc. The 1986 Act has been amended by the Insolvency Act 1994 and the Insolvency (No. 2) Act 1994. Both these Acts (and recent statutory instruments) are to be found at the same reference. The Act is supplemented by the Insolvency Rules 1986 (as amended) see Statutory Instruments, below. The Act is further amended by the Insolvency Act 2000. Orders can be made under this Act that a person is disqualified from being a director of a company or being involved in the management of a company on various grounds for up to 15 years. Established the stock transfer form as the standard form for the transfer of all company shares, government stock, etc. A detailed account of the Act is available on this website. This Act created a new form of organisation for businesses, the Limited Liability Partnership (LLP), a hybrid between the existing partnership and the limited company. An LLP is a separate legal entity and its members have full limited liability. It is created by registration at Companies House. There is no requirement to register (or even have) a written partnership agreement. 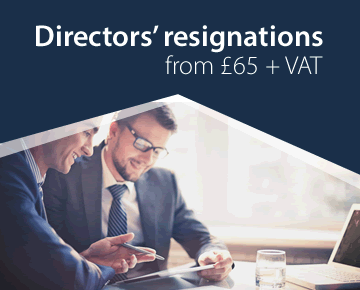 At least two of the members must be named as 'designated members', who accept responsibility for sending information to Companies House. An LLP is subject to the same rules as a private limited company for the registration and auditing of its accounts. The same exemptions are available. The Act does not impose a structure for the management of an LLP. There is no statutory provision for general meetings, directors, company secretary, share allotments, etc. As with the existing partnership, these are matters for the partnership agreement (if any). Implied terms, which apply in the absence of agreement to the contrary, are provided by regulations. The LLP is to be treated for tax purposes as an ordinary partnership: i.e. the partners will be liable to Schedule D income tax and Capital Gains Tax. This substantial piece of legislation, comprising over 400 sections and 22 schedules, was given the Royal Assent on 14th. June 2000. This Act provides the legal framework for the Financial Services Authority, which takes over as the single regulator of the financial services industry and gives the FSA a range of statutory powers. A major change for the professions is that professional firms (such as solicitors, accountants and actuaries) carrying on mainstream regulated activities will be authorised and regulated directly by the FSA, instead of their professional bodies. The Act sets up the Financial Services and Markets Tribunal, establishes a single financial services ombudsman and compensation schemes for consumers of financial services. There are aspects of this Act that may be regarded as traditional company law topics. These include the rules on listing particulars and prospectuses (including liability for misleading statements, etc. ), and the modern successor to the licensed dealers rules, restricting participation in the business of securities dealing to those who are authorised or exempt. The FSA is made the competent authority for maintaining the official list of securities, taking over from the Stock Exchange. Part VIII of the Act allows the FSA to impose penalties for market abuse or to publish a public statement that someone has engaged in market abuse. The Act sets out the kinds of behaviour which constitute market abuse and places a duty on the FSA to produce a code. The FSA has very wide powers to require the production of information and documents, reports to be compiled, to conduct investigations and to obtain access to premises. This Act made a considerable impact on personal bankruptcy, which is beyond the scope of this website, but had substantial company law effects too. The position of the holder of a floating charge was dramatically affected, removing the, right to appoint a receiver (for charges created from 15.9.2003), and corporate insolvency generally was recast, by shifting the emphasis from liquidation to company administration. Part 1 of this Act is intended to strengthen the independence of the system of supervising auditors, the enforcement of accounting and reporting requirements, the rights of auditors to information and the company investigations regime; and relaxes the prohibition on provisions made by companies to indemnify directors against liability to third parties. Part 2 provides for a new corporate vehicle, the "community interest company", intended to make it simpler and more convenient to establish a business whose profits and assets are to be used for the benefit of the community. There is a statutory "lock" on the profits and financial assets of CICs and, where a CIC is limited by shares, power to impose a "cap" on any dividend. Companies wishing to become a CIC are required to pass a community interest test and to produce an annual report showing that they have contributed to community interest aims. A new, independent Regulator is responsible for approving the registration of CICs and ensuring they comply with their legal requirements. He will have powers to obtain information from CICs, appoint, suspend or remove CIC directors, make orders in respect of the property of CICs, apply to the court for a CIC to be wound up and set the dividend cap. For a description of the Community Interest Company click here. The following are some of the more important statutory instruments concerning company law prior to the Companies Act 2006. Company and Business Names Regulations1981/1685 (amended 1992/1996) The list of sensitive words and phrases which require consent for use in a company name. This list is available on the Club database. Click here. Minor regulations about statutory registers, including keeping them as computer records. Companies (Tables A to F) Regulations 1985/805 (amended by 1985/1052) and further amended in 2000 (see below). Specimen memoranda and articles. The full text of Table A is available on the Club database. Regulations for inspection and provision of copies of statutory registers. Companies (Single Member Private Limited Companies) Regulations 1992/1699 Implement EC Council Directive No. 89/667/EEC on single member private limited companies, with consequential amendments to Companies Act 1985. Increases the turnover for audit exemption from £350,000 to £1,000,000 and provides that dormant companies do not have to pass a special resolution to that effect. These Regulations amend the Stamp Duty Reserve Tax (UK Depositary Interests in Foreign Securities) Regulations 1999 (S.I. 1999/2383) which provide for UK depositary interests in foreign securities to be excluded from the definition of "chargeable securities" in Part IV of the Finance Act 1986 for the purposes of stamp duty reserve tax. One of the conditions contained in the definition of "foreign securities" in regulation 2 of the principal Regulations is that the securities are of the same class as securities listed on a recognised stock exchange outside the United Kingdom. The amendments made by these Regulations relax that condition so as to include securities listed on any recognised stock exchange. This Order makes changes to the list, in article 9 of, and the Schedule to, the Insider Dealing (Securities and Regulated Markets) Order 1994, of markets which are "regulated markets" for the purposes of insider dealing. It also adds to the list, in article 10 of the 1994 Order, of regulated markets which are "regulated in the United Kingdom" for the purposes of the territorial scope of the offence of insider dealing. These increase some Companies House fees with effect from 2nd April 2000. The main change is to increase microfiche charges from £5.00 to £6.50. This Order is more significant than its title might suggest. It allows companies to send notices, copies of accounts, etc., to shareholders, auditors and debenture-holders by any manner of electronic means (telephone, fax, e-mail, posting on a website, etc.). 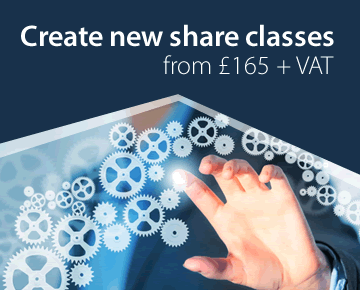 It also facilitates the extension of electronic filing at Companies House, and allows shareholders to lodge proxy forms and other notices with the company by electronic means. Of much greater general significance is that the Order makes significant changes to Table A with effect from 23.12.00. Any company adopting articles based on Table A after this date will be adopting the amended regulations. The new Table A has been added to the website. All companies registered by the Company Law Club Services Department since the beginning of 2001 have articles based on the new Table A. Amend the Company and Business Names Regulations 1981 so that the words "Chamber of Commerce" to "Chamber of Trade" are replaced by a longer list of similar terms (and their Welsh equivalents). This Order exempts certain types of EU political expenditure incurred by companies and subsidiary undertakings of the description specified in the Order from the requirement for it to be approved by the company incurring the expenditure under section 347C of the Companies Act 1985 or by the holding company of the company or subsidiary undertaking incurring the expenditure under section 347D or E of the Companies Act 1985. Amends the Solicitors' Incorporated Practices Order 1991 to limited liability partnerships and to their members. These Regulations revoke and replace the Companies (Disqualification Orders) Regulations 1986 (S.I. 1986/2067) ("the 1986 Regulations") and take into account certain amendments made to the Company Directors Disqualification Act 1986 (c. 46) ("the CDDA") by the Insolvency Act 2000 (c. 39) and regulations made under the Limited Liability Partnerships Act 2000 (c. 12). They come into force on 6 April 2001, and apply to any disqualification order made after that date, and to any grant of leave or action taken by a court after that date in consequence of which a disqualification order or undertaking (whenever made or accepted, as the case may be) is varied or ceases to have effect. These Regulations implement Directive 1999/93/EC of the European Parliament and of the Council on a Community framework for electronic signatures. The provisions of this Directive which are implemented relate to the supervision of certification-service-providers, their liability in certain circumstances and data protection requirements concerning them; provisions in the Directive relating to the admissibility of electronic signatures as evidence in legal proceedings were implemented by section 7 of the Electronic Communications Act 2000 (2000 c. 7). Section 45 of the Criminal Justice and Police Act 2001 inserted sections 723B to 723F into the Companies Act 1985 ("the 1985 Act"). Those sections provide for a system of granting confidentiality orders to directors and secretaries of companies formed under the 1985 Act and directors, secretaries and permanent representatives of oversea companies with a place of business, or a branch, in Great Britain within the meaning of the 1985 Act. Confidentiality orders are granted to individuals on application to the Secretary of State when she is satisfied that the availability for inspection of the usual residential address of that individual in the records of the registrar of companies creates, or is likely to create, a serious risk that the individual, or a person who lives with him, will be subjected to violence or intimidation. The effect of the order is that all notifications to the registrar of companies subsequent to the granting of the order in respect of the usual residential address of the beneficiary of an order are kept as confidential records by the registrar which do not form part of his records available for public inspection. These Regulations make further provision for the implementation of the system and for supplemental and consequential amendments to the 1985 Act. These Regulations amend the Companies (Summary Financial Statement) Regulations 1995 (S.I. 1995/2092) following the introduction by the Directors' Remuneration Report Regulations 2002 (S.I. 2002/1986) of a requirement that certain companies should produce a directors' remuneration report. Some companies which are permitted under section 251 Companies Act 1985 to produce a Summary Financial Statement are required to produce a directors' remuneration report.These Regulations expand the disclosure required in a Summary Financial Statement to include either the whole or a summary of the aggregate amount of directors' emoluments, a statement of the company's policy on directors' remuneration, for the next following financial year; and the performance graph. The Regulations amend the Companies Act 1985 to permit certain companies to hold shares in treasury following a purchase of own shares as an alternative to cancelling such shares on purchase. They insert new sections 162A, 162B, 162C, 162D, 162E, 162F and 162G in the 1985 Act which set out the principal provisions relating to treasury shares. These Rules amend the Insolvent Companies (Disqualification of Unfit Directors) Proceedings Rules 1987 which provide procedures for applications by the Secretary of State or the official receiver for the disqualification of directors under sections 7 and 8 of the Company Directors Disqualification Act 1986 (CDDA).The CDDA, as amended by the Enterprise Act 2002, enables the Office of Fair Trading and certain sector regulators (listed in section 9E(2) of the CDDA 1986) to apply to the High Court for a competition disqualification order. The court must make a competition disqualification order where it is satisfied that the company has committed a breach of competition law and where it considers that the conduct of the director in relation to that competition breach makes him unfit to be concerned in the management of a company. 1. These Regulations implement Council Directive 2003/38/EC of 13th May 2003 amending Directive 78/660/EEC on the annual accounts of certain types of companies as regards amounts expressed in euro (OJ No. L 120, 15.5.2003, pages 22 to 23). The Regulations take further advantage of existing Member State options on annual accounts and audit exemption in Council Directive 78/660/EEC of 25th July 1978 on the annual accounts of certain types of companies as amended (OJ No. L 222, 14.8.1978, pages 11 to 31) and existing Member State options on consolidated annual accounts in the Seventh Council Directive 83/349/EEC of 13th June 1983 on consolidated accounts as amended (OJ No. L 193, 18.7.1983, pages 1 to 17). 2. Regulations 2 and 3 raise the thresholds contained in sections 247 and 249 of the Companies Act 1985 for the exemptions applicable to small and medium-sized companies and groups. The turnover limit is increased from £2.8 million to £5.6 million for small companies and the balance sheet total is increased from £1.4 million to £2.8 million for small companies. The turnover limit is increased from £11.2 million to £22.8 million for medium-sized companies and the balance sheet total is increased from £5.6 million to £11.4 million for medium-sized companies. The aggregate turnover limit for small groups is increased from £2.8 million net (or £3.36 million gross) to £5.6 million net (or £6.72 million gross) and the aggregate balance sheet total limit for small groups is increased from £1.4 million net (or £1.68 million gross) to £2.8 million net (or £3.36 million gross). The aggregate turnover limit for medium-sized groups is increased from £11.2 million net (or £13.44 million gross) to £22.8 million net (or £27.36 million gross) and the aggregate balance sheet total limit for medium-sized groups is increased from £5.6 million net (or £6.72 million gross) to £11.4 million net (or £13.68 million gross). The thresholds for small and medium-sized companies are also relevant for the purposes of expenditure of small or medium-sized enterprises under sections 47 and 48 of the Capital Allowances Act 2001 (c. 2). 3. Regulation 4 increases the turnover limit in section 249A(3)(b) and balance sheet total in section 249A(3)(c) of the Companies Act 1985 which a small company other than a small charitable company must not exceed in respect of a financial year if it is to be exempt from audit. The turnover limit is increased from £1 million to £5.6 million (for small charitable companies the gross income limit remains at £90,000). The balance sheet total is increased from £1.4 million to £2.8 million. 4. A company which would otherwise be disqualified from claiming exemption from audit under section 249A for a financial year because it was a parent company or subsidiary undertaking for any period in that year, may nevertheless claim the exemption if it is a member of a small group which satisfies the conditions specified in section 249B(1C). Regulation 5 increases the turnover limit for a group to qualify as a small group for the purposes of section 249B(1C) of the Companies Act 1985 from £1 million net (£1.2 million gross) to £5.6 million net (£6.72 million gross) (the limit as it applies for small charitable companies remains unchanged). Regulation 5 increases the aggregate balance sheet total for a group to qualify as a small group for the purposes of section 249B(1C) from £1.4 million net (£1.68 million gross) to £2.8 million net (£3.36 million gross). 5. Regulation 6 further amends section 249D of the Companies Act 1985, as inserted by the Companies Act 1985 (Audit Exemption) Regulations 1994 (S.I. 1994/1935), by adding to the bodies listed in section 249D(3) the Institute of Chartered Secretaries and Administrators. Section 249D specifies those accountants who are entitled to act as reporting accountants for companies which are charities within section 249A(2). Section 453A of the Companies Act 1985 confers on inspectors appointed under section 431, 432 or 442 and investigators authorised under section 447 powers to enter and remain on premises which they believe are used for the purposes of the business of the company they are investigating. Section 453B imposes procedural requirements in connection with the exercise of these powers. These Regulations amend Part 7 of the Companies Act 1985 on accounts and audit in order to introduce a new requirement for directors of quoted companies to prepare operating and financial reviews ("OFRs"); and to implement requirements relating to the directors' report in articles 1.14, 1.17 (in part) and 2.10 of Directive 2003/51/EC of the European Parliament and of the Council of 18th June 2003 amending Directives 78/660/EEC, 83/349/EEC, 86/635/EEC and 91/674/EEC on the annual and consolidated accounts of certain types of companies, banks and other financial institutions and insurance undertakings (Official Journal No. L178/16 of 17th July 2003) ("the Accounts Modernisation Directive"). These Regulations extend the stamp duty and stamp duty reserve tax exemptions for sales of stock to intermediaries and for repurchase and stock lending (sections 80A, 80C, 88A and 89AA of the Finance Act 1986 (c.41)) to the multilateral trading facilities known as the Alternative Investment Market, OFEX and POSIT. See also The Stamp Duty and Stamp Duty Reserve Tax (Extension of Exceptions relating to Recognised Exchanges) Regulations 2006/139 (below). These Regulations amend the accounting and audit provisions of the Companies Act 1985 ("the 1985 Act"), and also amend the distribution rules for investment companies. These Regulations are made under section 245 of the Companies Act 1986, which concerns the voluntary revision by the directors of a company of defective accounts and reports prepared by the company. The Regulations further amend the Companies (Revision of Defective Accounts and Report) Regulations (S.I. 1990/2570). This Order transfers the majority of the functions of the Secretary of State under Part 2 of the Companies Act 1989 (eligibility for appointment as company auditor) to the Professional Oversight Board for Accountancy established under The Professional Oversight Board for Accountancy Limited. These Regulations provide for companies to disclose fees receivable by their auditors and their auditors' associates. These Regulations extend the stamp duty and stamp duty reserve tax exemptions for sales of stock to intermediaries and for repurchase and stock lending (sections 80A, 80C, 88A and 89AA of the Finance Act 1986 (c.41)) to the multilateral trading facility known as Instinet Chi-X and operated by Instinet Europe Ltd. These Regulations, which are made under section 2(2) of the European Communities Act 1972, implement Directive 2004/25/EC of the European Parliament and of the Council of 21 April 2004 on Takeover Bids ("the Directive"). Part 2 makes provision for the operation of regulatory activities of the Panel on Takeovers and Mergers, the body designated to supervise takeover bids. It gives effect to the rules in the City Code on Takeovers and Mergers and the Rules of Procedure of the Panel's Hearings Committee that implement the Directive. It confers powers on the Panel including the power to require information (regulation 6) and to apply to the court to secure compliance with certain requirements (regulation 11). The provisions contain new offences at regulation 8 (the disclosure offence) and regulation 10 (failure to comply with rules about bid documentation). Part 3 provides for defensive devices that may be adopted by a company prior to a takeover bid, to be overridden in certain circumstances. Such provisions are optional and regulations 20 and 21 set out the basis on which companies can opt-in and opt-out should they choose to do so. Regulation 22 deals with consequences of opting in. Part 5 and Schedule 2 contain provisions designed to address the problem of and for residual minority shareholders following a successful takeover bid. Known as "squeeze out" and "sell out", these provisions enable a successful bidder to compulsorily purchase the shares of remaining minority shareholders and for those shareholders to require the majority shareholder to purchase their shares. Regulation 30 disapplies the existing provisions for "squeeze out" and "sell out" in the 1985 Act and 1986 Order where a takeover offer is made for a company with securities admitted to trading on a regulated market and instead applies Schedule 2. This is a consolidation of the existing provisions and the amendments required to implement the Directive or arising out of or related to obligations in the Directive. Part 2 applies to takeover bids covered by the Directive for all companies with securities traded on a regulated market in the United Kingdom or for companies registered in the United Kingdom whose securities are traded on a regulated market in one or more member states of the European Economic Area (other than the United Kingdom). Parts 3 to 5 apply only to companies registered under the Companies Act 1985 (or in the case of Northern Ireland, the Companies (Northern Ireland) Order 1986) and to unregistered companies. Copies of the City Code on Takeovers and Mergers and the Rules of Procedure of the Panel's Hearings Committee are available from The Panel on Takeovers and Mergers, 10 Paternoster Square, London, EC4M 7DY. The Order amends Schedule 15D of the Companies Act 1985 ("the 1985 Act") by adding a disclosure for the purpose of enabling or assisting the Gambling Commission to exercise its functions under the Gambling Act 2005 to the list of disclosures that are permitted by virtue of section 449(2)(b) and Schedule 15D of the 1985 Act. These Regulations amend the accounting and auditing provisions in Part 7 of the Companies Act 1985 ("the 1985 Act") as they apply to small companies. They extend to small companies which have permission under Part 4 of the Financial Services and Markets Act 2000 to carry on a regulated activity, the accounting and audit exemptions afforded to other small companies by Part 7, unless such companies are authorised insurance companies (within the meaning of section 742C of the 1985 Act); banking companies (within the meaning of section 742B of the 1985 Act); e-money issuers (see regulation 6 amending section 262 of the 1985 Act); ISD investment firms (see regulation 6 amending section 262 of the 1985 Act); UCITS management companies (see regulation 6 amending section 262 of the 1985 Act). These Regulations implement provisions of Directive 2003/58/EC of the European Parliament and the Council of 15 July 2003 amending Council Directive 68/151/EEC, as regards disclosure requirements in respect of certain types of companies (O.J. L221, 4.9.2003, p. 13) They do so by amending the Companies Act 1985 and the Companies (Northern Ireland) Order 1986 so far as not yet repealed by the Companies Act 2006, and by supplementing provisions of the Companies Act 2006 brought into force on the same date as these Regulations. Regulation 2 applies when the registrar of companies provides a copy in electronic form of material on the register to a person requesting that the copy be certified as a true copy. The registrar's certificate must be certified by an electronic signature which is uniquely linked to the registrar by means under his sole control and which is linked to the certificate and the copy in such a way that subsequent changes are detectable. Regulation 3 amends the 1985 Act and the 1986 Order (except in respect of limited liability partnerships) by no longer requiring copies of certain documents delivered to the registrar to be office copies (ie, hard copies). The effect of regulation 4 is that when a contract for the allotment of shares paid up other than in cash is delivered to the registrar, it need not be in English but must be accompanied by a certified translation into English. The most important Regulation 5 enables companies to deliver to the registrar any of the documents to which Council Directive 68/151/EEC (O.J. L65, 14.3.1968, p.8) applies (listed in section 1078 of the 2006 Act) in any of the official languages of the European Union if accompanied by a certified translation into English. The most imortant provisions of these regulations are in Regulations 6 and 7 and Schedules 1 and 2, which amend the 1985 Act , the 1986 Order, the Insolvency Act 1986 and the Insolvency (Northern Ireland) Order 1989 so as to include websites and documents in electronic form in provisions requiring the company's name, registered number, registered office and other particulars, and the fact that the company is being wound up (where that is so), to appear on correspondence, publications and other documents. The Regulations amend Schedule 1 to the Uncertificated Securities Regulations 2001 (S.I. 2001/3755) which sets out the requirements for approval of a person as an operator of a computer-based system which enables title to units of a security to be evidenced and transferred without a written instrument. They add a new requirement, transposing in part Article 34 of the Directive, for any person approved as an operator to maintain transparent and non-discriminatory rules governing access to any settlement facilities he provides. The rules must grant investment firms (within the meaning of the Directive) and credit institutions (as defined in Directive 2006/48/EC (OJ No L 177, 30.6.2006, p.1)) authorised in other EEA States access to those settlement facilities on the same terms as access is granted to firms and institutions established in the United Kingdom. (Coming into force 1st October 2007 [Great Britain] and 1st November 2007 [Northern Ireland])Unauthorised political expenditure is repayable by directors with interest set at 8% p.a. These Regulations implement Directive 2005/56/EC on cross-border mergers of limited liability companies.The Company and Business Names (Amendment) (No. 2) Regulations 2007/3152. These Regulations amend the Company and Business Names Regulations 1981 (S.I. 1981/1685). Regulation 2 provides that the word "government" and the expressions "HPSS", "HSC" and NHS" cannot form part of a company's registered name or a business name without the prior approval of the Secretary of State. Section 716 of the Companies Act 1985 prohibits the formation of partnerships consisting of more than 20 persons. These Regulations exempt from that prohibition partnerships formed for the purpose of carrying on practice as actuaries, and consisting of persons the majority of whom are either Fellows of the Institute of Actuaries or of the Faculty of Actuaries, or full actuary members of one or more of the associations listed in the Schedule to the Regulations. They replace, and revoke, earlier Regulations (S.I. 1996/262) which provided for an exemption in relation to partnerships consisting of persons three-quarters or more of whom were Fellows of either the Institute of Actuaries or Faculty of Actuaries. (b) European investment firms carrying on home-regulated businessin the United Kingdom (for definitions see regulation 2(2)). (b) have an equivalent authorisation under the law of a Member State of the European Economic Area. This Order amends the Insolvent Partnerships Order 1994 (S.I. 1994/2421. It provides that sections 1, 1A, 8A[a], 13, 14 and 17, in addition to those sections of the Company Directors Disqualification Act 1986 (c. 46) (the "CDDA") already applied, are applied to insolvent partnerships, with modifications, where appropriate, as set out in Schedule 8 of the Insolvent Partnerships Order 1994.These provisions allow the Secretary of State to accept a disqualification undertaking from a person who is or has been an officer of a partnership where an insolvent partnership is wound up as an unregistered company. These Regulations make provision for the operation of the Council Regulation (EC) No. 40/94 of 20th December 1993 on the Community trade mark (O.J. No. L 11, 14.1.94, p.1) ("the Community Trade Mark Regulation"). A Community trade mark registered at the Office for Harmonization in the Internal Market (trade marks and designs) under the Community Trade Mark Regulation has effect throughout the Community. As a result of the Community's accession to the Madrid Agreement Concerning the International Registration of Marks (adopted at Madrid on 27th June 1989), holders of an international registration under that Protocol may apply for protection of their marks under the Community trade mark system; and conversely applicants for, or proprietors of, a Community trade mark may apply for international protection of their marks under the Protocol. The provision made by these Regulations in respect of the Community trade mark also extends to marks protected under that Protocol in the territory of the Community. These Rules correct rule 8(5) of the Registered Design Rules (SI 1995/2912) and rule 10(5) of the Trade Mark Rules 2000 (SI 2000/136). Both of these provisions were amended incorrectly by the Patents, Trade Marks and Designs (Address For Service and Time Limits, etc) Rules 2006 (SI 2006/760). These Rules substitute the word "registrar" for the word "comptroller" in both rule 8(5) of the Registered Design Rules 1995 and rule 10(5) of the Trade Mark Rules 2000. The Financial Services legislation is no so vast and detailed that, in the Editor's opinion, must now be treated as a separate subject, distinct from company law. It is also of interest only to those who specialise in it. Company Law Club does not cover this area. Legislation can be accessed from the OPSI website. The main legislation is the Financial Services and Markets Act 2000, and account of which is given above.